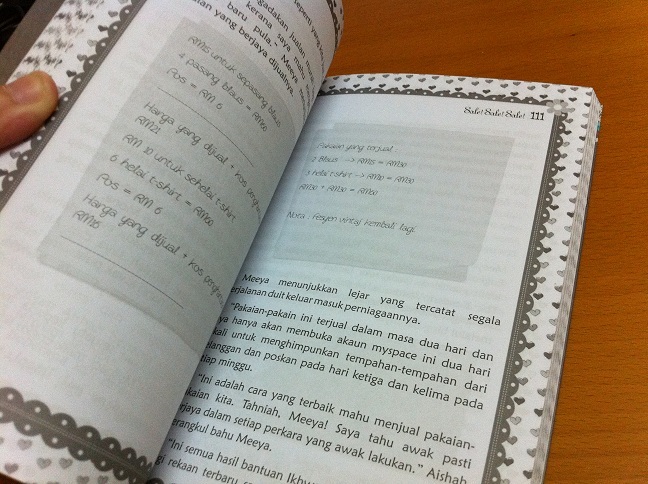 I was never a fan of Malay books all these years. The last book I read was Bukit Kepong & Konserto Terakhir in preparation for SPM exam. Even then, I didn't finish the book & ended up reading the summarised version with ready-made exam questions. 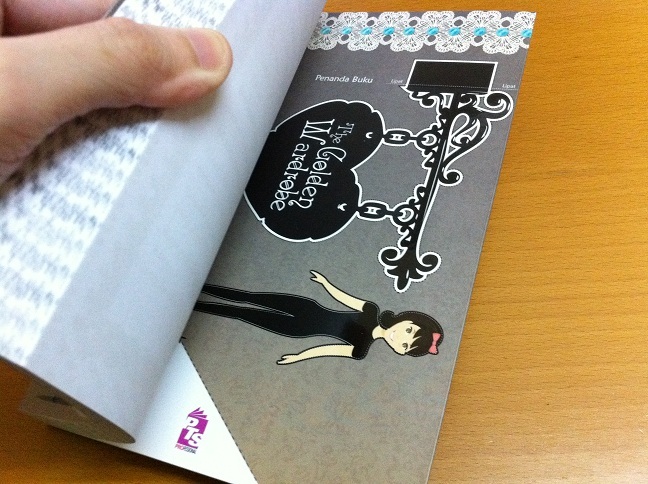 It takes a lot of effort to appreciate Malay literature, what more with an uninviting & poorly designed book cover. 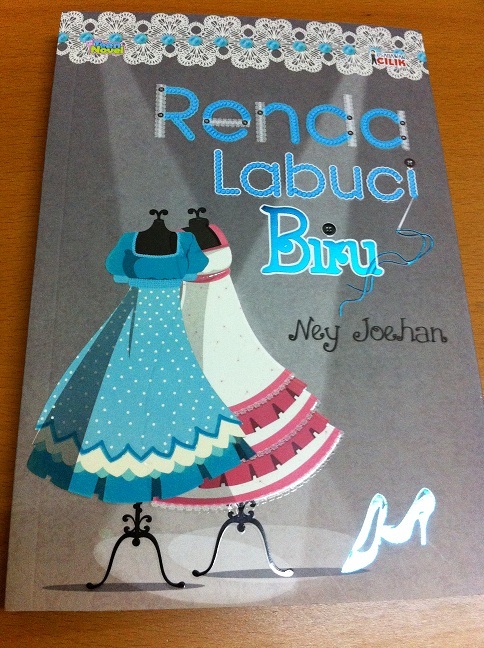 Tempted, I bought one of the book titled Renda Labuci Biru. If you observe carefully, the cover has been treated with matt finishing & the book title is embossed with spot UV. Now that is quite pretty for a Malay book cover. On the inside front & back cover, there're images that can be cut out to be used as bookmark. The book even has border designs in every page! Now that's tacky. 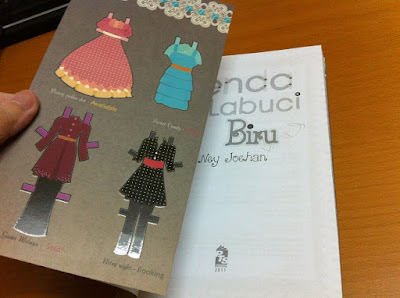 -.-"
Nevertheless, the book seemed interesting cuz it has diagrams & images which are relevant to the storyline. I haven't had the time to read yet but I'm guessing the storyline will be a typical one. Will update this space soonest & I shall have my verdict.